National Kale Day is October 7th, 2015.We are having kale for every dinner this week. Here is the most scrumptious & nutritious pizza you may ever make. Pizza always seems a little self-indulgent but when you top it with about eight to ten cups cups of fresh kale, rinsed well then drained or dried you’ll enjoy it and it is so fast and easy everyone in the family will soon know how to make it. Turn oven to 500 degrees and place pizza stone in oven as it heats. As you see the emphasis and goodness of this dish relies on fresh ingredients. If they are unavailable, use what you have and vow to try it again with the suggested ingredients. While the dough is rising, wash kale and remove stems. You can chop or tear it into bits as you wish. Massage the kale with olive oil, garlic, salt and pepper. We use a pizza stone but any large baking pan will do the job but you may need to allow more cooking time. Roll dough to fit your stone. Sprinkle stone with cornmeal, place dough on stone and lightly curl up the edges. Now quickly arrange cheeses on top of the dough. Close oven and bake 2-3 minutes . Edges of dough will begin to color and cheeses are semi-melted. 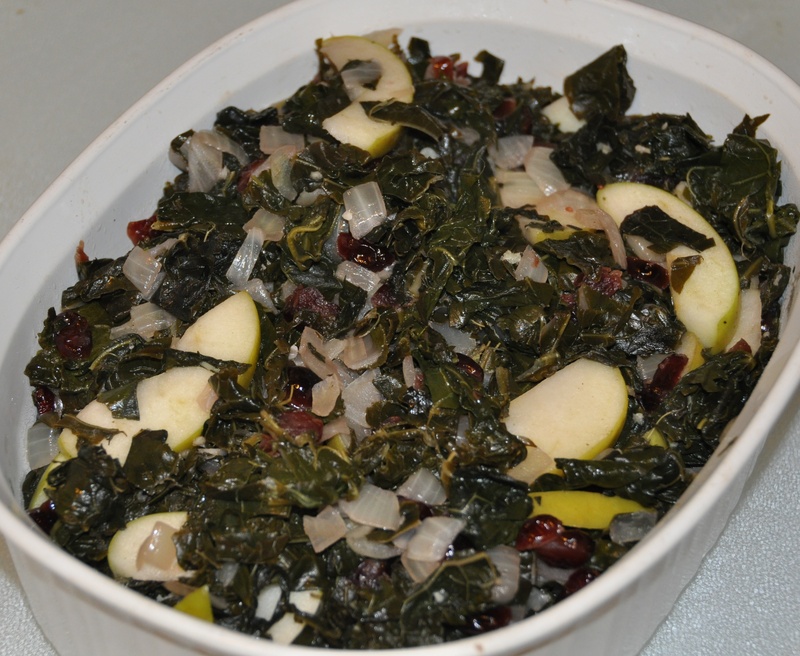 Open oven, spread kale and garlic over the cheeses. Now place pizza in the oven. Change temperature setting from bake to broil for 2 minutes. 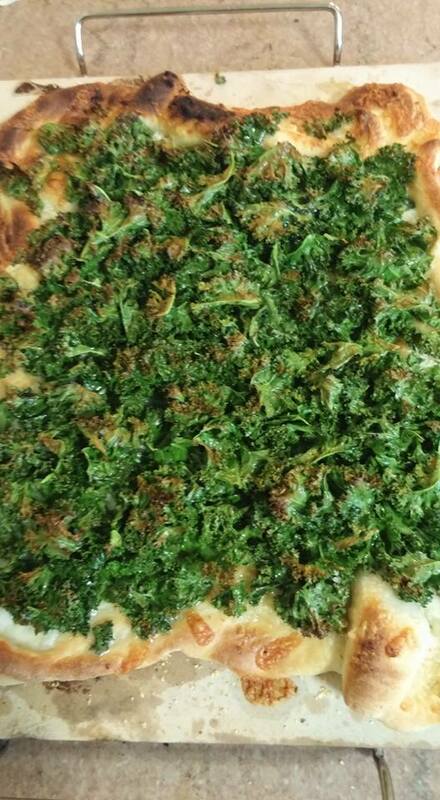 The edges of your kale leaves will look slightly crisped and the rim of the crust is browned in spots, If your pizza is not browned place back in hot oven for one to two minutes with broiler turned off. Remove pizza from stone to a cutting board. Want to know more about National Kale Day just google it.